It’s our job to pick up stranded bikes that have been reported by our users. Although we only launched our dockless bikeshare scheme at the end of last year, that’s been plenty of time for me to find Onzos in some strange places. Here’s a small selection of them. This photo kind of looks like a “spot the difference” puzzle. Shout out to the Onzo logo on the seat still hanging firm. While the first bike has a pretty generic paint-job, the second one is impressively creative, with a lilac coloured body and abstract texturing on the frame. Surprisingly, the bikes actually rode quite well. Maybe spending time with the police did them some good. 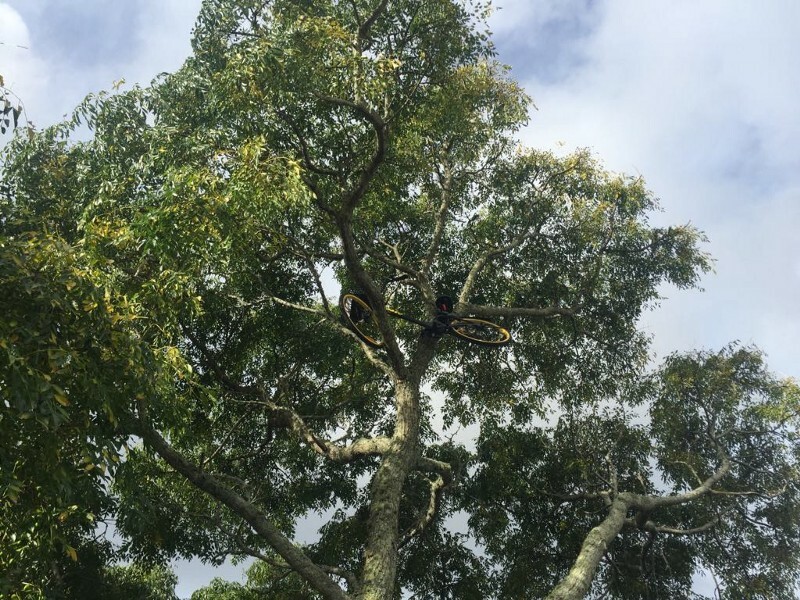 Whoever did this was committed, tying the bike with a rope to three separate branches. If you’d like to check it out, it’s still right where we left it at Brewster Avenue on Mt Albert. 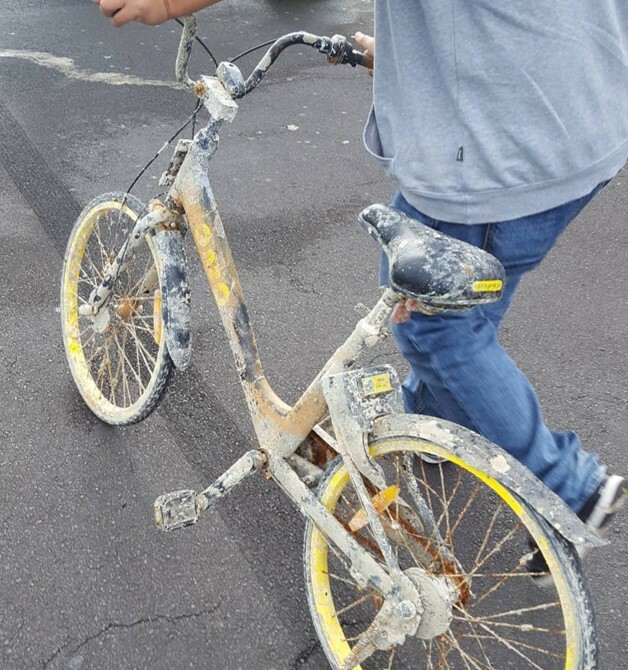 Our team managed to retreive this bike off the wharf at Kelly Tarlton’s, but unfortunately it didn’t escape unscathed. I like to think that the bike lived out its last days in peace among its barnacled friends at Auckland’s favourite aquarium. Unfortunately, this bike’s days are over, its crusty carcass a grave reminder of our fleeting mortality and the importance of being able to float. RIP. I’m a huge fan of volcanoes, which probably explains why I live in Auckland. The constant threat of a gruesome, apocalyptic death at any moment is exhilirating. 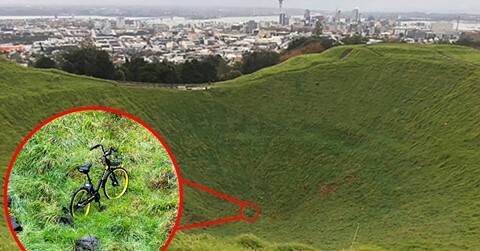 I know I’m not the only person who feels this way, because when our team found out about the presence of an Onzo bike at the bottom of the crater at Mount Eden (also known as Maungawhau) I realised that someone had managed to combine my two favourite things in life: volcanoes and Onzos. We went down to pick it up after hearing about it from the New Zealand Herald, but someone from the Council had already kindly moved it out of harm’s way for us. 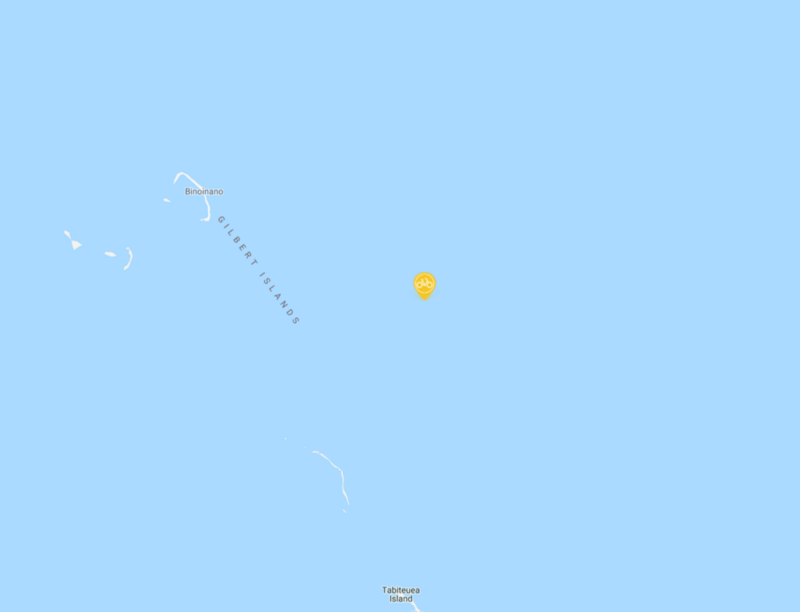 I’ve seen bikes end up in places like Huntly, Taupo, and even Wellington, but the record for the furthest a bike has ever travelled from our Auckland HQ is 4018.7 kilometers, somewhere in the middle of the Pacific Ocean off the coast of the Gilbert Islands. I’ve never heard of the Gilbert Islands (described by Wikipedia as “a chain of sixteen atolls and coral islands in the Pacific Ocean about halfway between Papua New Guinea and Hawaii”) but I hope our bike is having a good time in the tropical waters of the Pacific. Teirake Kaini Kiribati! I’m not sure how a bike managed to end up there (we’re open to hearing ideas), but I’m not too upset. I’m spinning this as the first step in an overseas expansion strategy. Onzo is now officially a multi-national company. 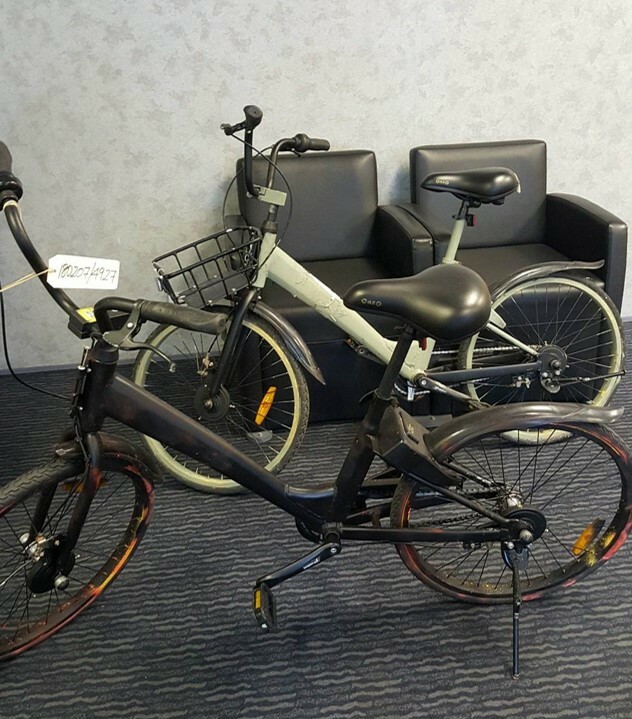 We found this bike through our GPS tracking software — we’re surprised that this bike’s GPS trackers are still in working condition! There we have it. If you also find an Onzo in a strange place, please report it to us through email (info@onzo.co.nz), Facebook message, or phone (0800 646696) and we’ll get it to a safe location. In the meantime, happy riding! *with the only caveat being that it’s in a publicly accessible space, not in anyone’s way, not in a tree, not in a geothermal feature, not in a lake, river or ocean, not in a parking garage, not in somewhere that isn’t New Zealand etc. That is hilarious guys love you delivered that with tongue in cheek humour great service wishing you lots of success for a great initiative ! Just a brief response due to your encouregement about hearing ideas regarding the bike off the Gilbert Islands: ever thought of your bike travelling on a massive freight ship where crew members use it for commuting between bow and stern? Congrats on your overseas expansion!